Do you have the stomach for the creepy, skin crawling, screeching and straight-out terrifying? If so, this is probably your favorite time of year, and luck for you if you live in Boston, there are some pretty cool spots around the city where you can get your fill of Horror. So if your looking for a place where you and the gang can experience some of the most gruesome and scary events in history around Boston, here are 5 of the best. 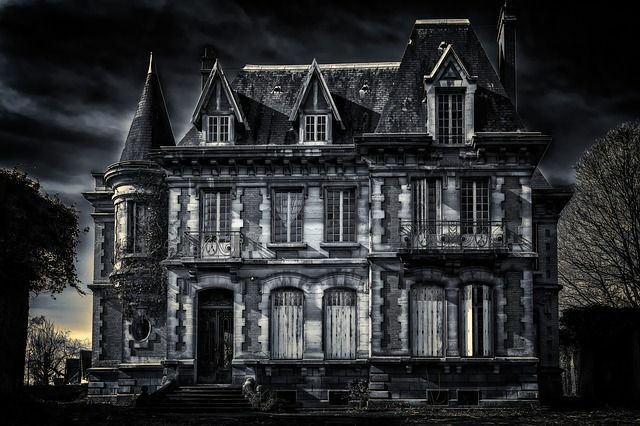 The Fear Town Haunted house is everything you can imagine when it comes to a Haunted House. The house is located just 1 hour from Boston, deep in the Seekonk Speedway woods in an extensive area to tickle your fancy. The house takes you through a terrifying path through old run down and creepy looking buildings. The hideaway has been there for decades and the challenge is getting out as monsters come at you from every nook and cranny to keep you from leaving the woods. The fact that the house is in the woods is the perfect set up for a skin-crawling event. Drive 19 miles south from Boston and you will find Barrett’s Haunted Mansion along 1235 Bedford St at Abington. The house is all you need to get your feathers ruffled for a two-night reservation with a group of 2 to 5 people. The participants must be 18 years and above. The haunting begins from October 20 to October 27. Rules become null and void from 7 pm to 11 pm when the house is engulfed by chilling darkness and the unknown takes over. This haunted house experience is not for the feint of heart. One of the creepiest things about this experience is that you will need to sign a waiver before participating. Fall River, 54 miles off Boston is the home to Lizzie Borden, or at least was until she did the unthinkable in 1892. The girl took an ax and in rage hacked her mother 40 times in bloody cold murder. As if this was not enough Lizzie turned to her dad and hacked him 40 times and one more on the cold morning of August 4th. The matter was taken to court, the crime was placed under speculation, and there was no way the court could prove Lizzie had done it. The house is still standing and open to thrill seekers that can dare walk in the doors and even better, stay overnight. The house is not a make-believe for those that believe in the ghosts of the murdered and getting through the night is a harrowing experience. As the name suggests, the Factory of Terror located in Worcester is all terror and no stops. The house comes with five diverse ways to make you jump out of your skin ranging from ‘Zombie Alley to ‘Clown College’. This is a sweet spot if you are looking for everything you have seen in the movies in raw form with one visit. The house is located on Franklin Street in Worcester. The Hysteria at Connors Farm is a mix of terror and fun for the Zombie lovers. This is the perfect place if you have dreamed of being a hero during a Zombie apocalypse or if you have the stomach to be a victim. The house allows you to shoot at zombies, with a paint gun of course and escape the Zombie attacks. The haunted farm is for the rest of the gang that is not into Zombies and but all things creepy and crawling that will definitely make you scream. The house is Located at Danvers on 30 Valley Road 28 miles from Boston.